Microsoft 365 Teamwork: when use what to get in touch? By integrating Skype for Business into Microsoft Teams, the Microsoft 365 Suite provides a complete collaboration tool. Companies that operate globally need such applications to improve corporate communications. 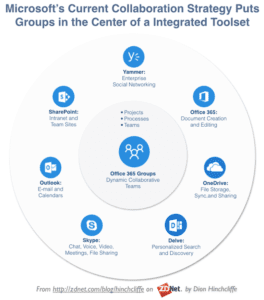 Besides the real-time communication Skype, the classic Outlook for e-mails and collaboration tools like Microsoft Teams, you will need social media platforms like Yammer as well. When new colleagues join the company, they are often overwhelmed by the large number of such applications. It then helps to give an overview of when they should use which tool. 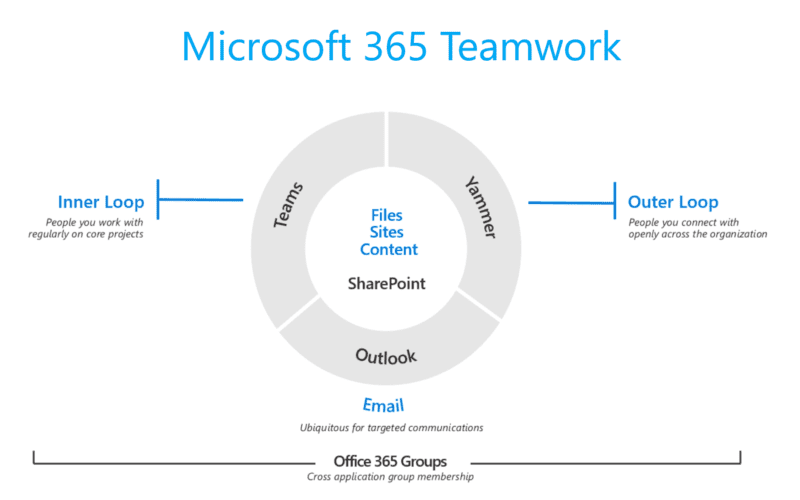 Last year Microsoft explained their “Microsoft 365 Teamwork” graphic during the Ignite Conference – and it worked! Simply presented it helps you to explain the most important tools – for when to use what! What is there in your company ? Are the applications accepted by your colleagues? Tagged collaboration, communication, conversation, microsoft365, office365, skype, teams, yammercommentLeave a Comment on Microsoft 365 Teamwork: when use what to get in touch? 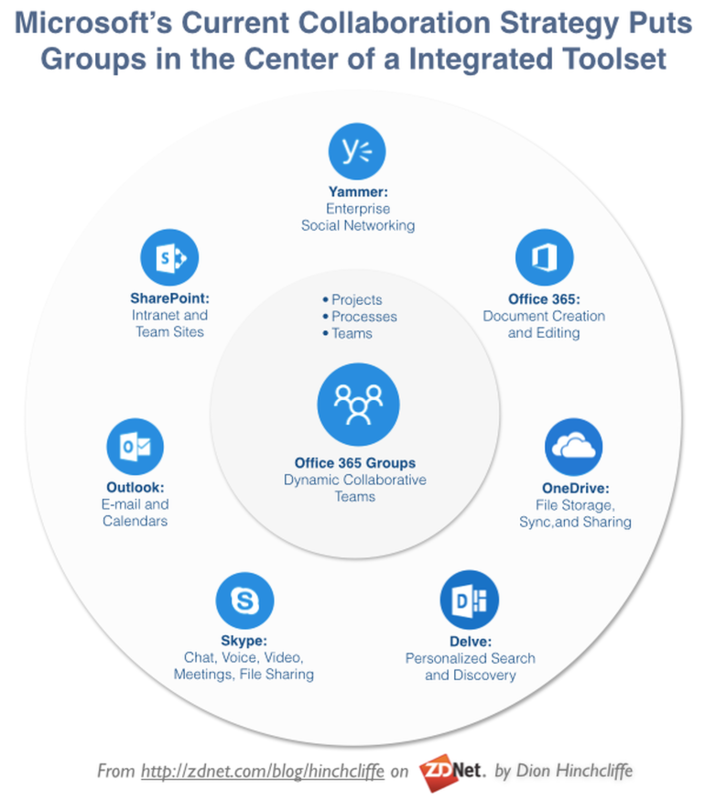 Just Microsoft Teams and no Skype for Business Online anymore?